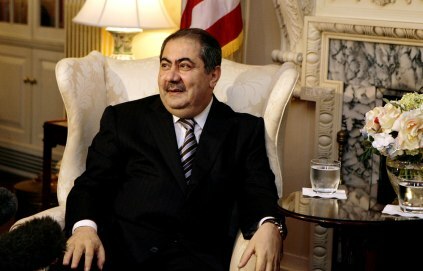 Iraq Foreign Minister Hoshyar Zebari would not answer reporters' questions at a photo op before a meeting at the State Department June 18, 2007 in Washington, DC. Over 140,000 Turkish troops – almost the same number of American troops in Iraq – are amassing on Turkey’s border with Iraq and preparing for possible intervention against Kurdish guerillas of the Kurdish Workers party (PKK). This comes at a time when the United States does not need the additional problem of a NATO ally invading a seemingly pacified area of Iraq. Turkish military intervention in northern Iraq is nothing new; it has been happening since at least 1984. I remember when I was in northern Iraq in the mid-1990’s, there was a constant Turkish military and intelligence presence in the country, including an armored brigade camped along the major route between the two countries. Although the Turks were operating in their own interests to control the cross-border operations of the PKK, we welcomed Ankara’s willingness to place troops in or near Saddam Hussein’s Iraq. The invasion plan called for the Fourth Division –- the Army’s heaviest and most modern armored force –- to transit the Kurdish-controlled area of northern Iraq and attack through what is now known as the “Sunni triangle” toward Baghdad, forcing the Iraqis to split their defenses between the Fourth attacking from the north and the main U.S. Army and Marine Corps force attacking from the south. Not only was the Fourth Division unable to attack from the north, it had to return to the Turkish coast, re-board transport ships and sail around the Arabian Peninsula to Kuwait, offload and follow the main American force to Baghdad. Hoshyar, you and I go back a few years, so here’s the reality—the Turks are not going to withdraw their forces from the border until there is a satisfactory resolution to the situation. They almost certainly believe that the “perfect solution” is the removal of the PKK from northern Iraq. I have been critical of the Turks since the 2003 policy reversal, as I believe it contributed to the rise of the Iraqi insurgency, but this time I have to go with Ankara. Unless the Iraqis take immediate action to close the border to the PKK and prevent these cross-border operations into Turkish territory, what choice do the Turks have? The Turks view Iraq’s president, deputy prime minister for national security and the foreign minister (all Kurds) as being unwilling or unable to stop the PKK’s lethal attacks being launched from Iraqi territory.